What happened to Nadab and Abihu could be happening to us…really. What is the greatest act that any man may perform on the earth while he lives? I must admit that I have been severely influenced by Jeremiah Burroughs on the matters of worship. It is certainly true that I am in agreement with the Puritan notion of worship as a whole, since it is, in my estimation, the most orthodox position which most closely reflects the Bible. However, if the reader has not yet obtained a copy of Burroughs’s work Gospel Worship I would encourage this heartily. I would also warn the reader that if they do obtain a copy of this wonderful book, that some of the points Burroughs had previously taught some 400 years ago, are also adumbrated here. This is not plagiarism. It is, rather, shared orthodoxy. Also, Burroughs’s book is also one of those “life changing” books. Do not attempt to read it if you are not prayerfully ready. I begin this exhortation with the first of three points: Strange Fire and Worship. It is easy to see why this article can be titled “Strange Fire” since it is the heart of the passage. Yet, if you read the Scripture above, Leviticus 10:1-3, you will see that the NKJV of the Bible does not use the word “strange” but rather “profane.” My usage of this word “strange” instead of “profane” will be explained in a few paragraphs. As a prefatory note, before diving into such an excellent passage, I must remark of the previous chapters as a whole, especially the inauguration of the priesthood in chapter 9. 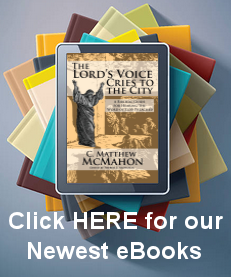 The institution of the Levitical Priesthood was a most glorious time for the children of Israel. It was a time of new beginnings. The Israelites had been delivered from the iron furnace of Egypt, and had been given the precise and meticulous instruction of the tabernacle and its worship. It was not only the externals of a tabernacle and the articles of worship that God remained precise and meticulous about, but also the priesthood itself. The infancy of the priesthood is no doubt felt here. All of the laws given to the Levitical priests were new, solemn, and needed the utmost attention to detail. Everything from what they wore, to their actions and duties were, and with addendums later, express by God in scrupulous terms. And in all of this “newness” the people received the blessing of the priesthood, their Mediatorship of sorts, with gladness. God was blessing them abundantly with the forgiveness of sins and His presence among them. Even the Psalmist, in a moment of joy and ecstasy about the unity of the brethren and the goodness of God’s mercy, will state in retrospect, “It is like the precious oil upon the head, Running down on the beard, The beard of Aaron, Running down on the edge of his garments (Psalm 133:2).” It was a time of celebration. With the inauguration of a new beginning in the mercy of God, if you were a priest in the order of the Levites, what would it have been like on the first day of your “new job?” Would you be over zealous? Would you be careful, but still zealous? Well, for Nadab and Abihu, Aaron’s eldest sons, it was their last day on earth because of their flagrant sin. They offered profane, or strange, fire before the Lord. Let us take a closer look at a the “Strange Fire” of Nadab and Abihu. Nadab and Abihu had not even been on the job a full day and they were reinventing worship! They were not executing their office as they should have. They offered incense and fire not warranted by God. Look at the text of Lev. 10:1, “Then Nadab and Abihu, the sons of Aaron, each took his censer and put fire in it, put incense on it, and offered “strange” fire before the LORD, which He had not commanded them.” Some of the translations use the term “profane fire.” This is an interpretive help, which, in my opinion, is not really that helpful. The word here is zuwr (zoor) which means “to be strange, or harlotous.” This “strangeness” is like the harlot’s bedroom. Not strangeness as in “weird” but as in foreign or adulterous. Their fire was an adulterous, harlotous fire before the Lord. This is an important note to keep in mind since it it’s the crux of their sin. Secondly, we see God’s mercy and judgment in the typical sacrifice. Usually God consumed the sacrifices offered by the priests in mercy to the people. However, God is not opposed to consuming the sacrificers in judgment if they worship incorrectly. God does, in judgment, consume Nadab and Abihu. Because they offered strange fire, God consumed them before their sacrifice as Lev. 10:2 says, “So fire went out from the LORD and devoured them, and they died before the LORD.” The word devoured is rendered “burn them up.” Instead of burning up their sacrifice, He burned them up before His presence because they profaned themselves before Him. Thirdly, God sent a strange fire to consume them. Now this is not the strange fire of an adulterous sacrifice. I am using the term “strange” in this instance as “weird” or “unusual.” The fire that the Lord sent out was strange and unusual, unlike any fire that man can start or use. Note that God had previously honored these men in Exodus 24. Now, in light of their strange fire, God sends a strange fire to consume them. He is no respecter of persons. How do we know it was strange? In Lev. 10:5 it says that their burned corpses were carried away in “in their coats.” When God consumes a sacrifice He usually does so by completely burning up the offering. There is nothing left. But here, though God sent a fire to devour them, they are still able to be carried out in their wool coats. Indeed, this was a strange fire from the Lord to answer them for their strange and adulterous fire in worship. God shows Himself here in judgment instead of mercy. But the result to this, as the text says, was that the people feared. Imagine if Nadab and Abihu offered this strange fire and the Lord allowed them to do this; they would in turn have taught this to the people. This could not be allowed. It is also important to note that in God’s judgment on Nadab and Abihu He gave them no time to repent, to seek mercy, or to find forgiveness. There was no time at all. They sinned and God judged. It is no wonder the people feared. These were respectable men. They were honored men. If such honored and respectable men are so easily “judged” how much more so should the common folk fear? Profaning the worship of the almighty God is a very heinous sin. Fourthly, we must look to the Lord’s rebuke of Aaron’s displeasure. Aaron was in a tumult. He was not holding his peace, yet. His two eldest sons died on their first day of their service. No doubt he was beside himself! Could not God simply be a bit more merciful? Could He be more patient with sinners? I mean, where did God say that such a fire was not to be offered? I tell you friends, you will search in vain to find such a place where it says that God commanded Nadab and Abihu not to offer such a fire. There is no place in Scripture saying anything remotely close to this. God told them what they should do, but not what they should not do. He never said, “Do not offer that kind of fire.” It was their sin and wickedness for offering up to God something other than what He commanded. Then, the Lord gives us, by Moses, the principal text in verse 3, “This is what the LORD spoke, saying: ‘By those who come near Me I must be regarded as holy; And before all the people I must be glorified.’ ” If you were Moses, would this have been consoling to Aaron? Would this be what you would have said? Was this consolation? We are far past the consolation of the human sort. We must indulge ourselves into God’s rebuke and his instruction to be fully satisfied in this instance. God says He is to be regarded as a holy and majestic God. The word “holy” here is “qadash” (kaw-dash’) which means “to show oneself sacred or majestic, to be honoured, be treated as sacred, or to be holy.” God is not to be treated or regarded in any other manner than holy. He is to be treated as one who is wholly separate from all other created entities. His holiness is not compromised or tainted in any way, nor may it be. He says He must be regarded as such or there are consequences. Not that God will have consequences, but that He will either be regarded as holy, or make Himself holy, forcibly, upon those who approach Him. This is not something restricted to Israel, but for all people for all time. Is it not a wonder, then, that our very prayers are fashioned by the first petition to “hallow the name of God” in the Lord’s prayer. It ought to be the desire of the believer in any age to hallow, and pray for the hallowness of God’s name everywhere. Who is to regard God as holy? In this verse it is specifically “those who draw near.” This is another interpretive help by the translators. The word is qarowb (kaw-robe’) which means “kinship, lovers or friends.” Those who claim to draw near to God are the lovers or friends of God – at least by profession. Thus, those who draw near are those who claim to know Him and follow Him. God will, then, be glorified in those people by their special regard for Him as holy. They know they must do this and attempt to set Him apart as such. Either in the people or by the people, either in mercy or by judgment, God will be kabad (kaw-bad’) “made holy.” He will “be honoured, or One who gain’s glory.” This is not something that might happen, or could happen when the Lord’s people offer up worship to Him in whatsoever manner they do, but that either in mercy or either in judgment God will obtain, receive, and must have the honor due His name. Fifthly, what was Aaron’s response? Aaron was silent. The verse says, “So Aaron held his peace.” The idea here is “to be silent, to die (in certain cases), or to be struck dumb.” (The Hebrew is damam (daw-man’).) Aaron, after receiving this rebuke from the Lord, was silent; he was dumbstruck. He was no longer in tumult. He was holding his peace. His silence was expressive of an agreement with God’s act of killing his firstborn children because of their heinous sin. Aaron now knew God’s name was more precious than the lives of his sons, so his heart was without tumult any longer. My second major point is the principle at large. What principal for the worship of God’s people might we glean from this text? It is important to note that principle is one for all time. The principle is this: God alone by His Word determines the terms on which sinners may approach Him in worship. Worship cannot be something that is haphazardly formed in the life of the believer; it is that which we do now, and will do in heaven. We will worship God for all eternity. It is something essential to the Christian life. We cannot “get” worship wrong. For this passage in Leviticus 10 is not just a single incident with Nadab and Abihu, but a command in principle for all people, for all time, from the mouth of God. God has laid out what is to be accomplished in worship, and the principle of this from our text should hit us right between our eyes as Christians. I would like to take some time to exegete this principle. In breaking it down we might fully understand the implications of this verse. First we have, “God alone.” The substance of Worship is not the end result of a democratic vote. A common practice is to visit a number of churches and then decide which one’s services you liked the most. Some say “I like the contemporary service,” others say, “I like the traditional,” and still others say “I like a mix.” It is as if one church’s worship is better suited to one’s taste than another – like the current fashion may or may not be suited to one’s tastes. But this is wrong thinking from the get-go. If it is not what God has commanded for worship then it is not worship at all. The church must have a warrant for the worship of God. The police must have a warrant for searching the house of a criminal. Its illegal to do the search without it, and the officers who transgress this could lose their badge for misconduct. Though this is a infinitely less important illustration, it should help a little in understanding a prescribed warrant for worship. God says in Isa. 48:17, “Thus says the LORD, your Redeemer, The Holy One of Israel: “I am the LORD your God, who teaches you to profit, who leads you by the way you should go.” God is the One who leads and teaches His people. It is not according to anyone’s taste but is the result of God’s command – at least it should be. Even in the midst of the 10 Commandments we find God’s set prescription. The first four commandments teach us the object, means, manner and the time of worship. They answer the question: How does one draw near to God? All we need to do is look at His prescription to find this out. What do the wayward Israelites need to lead and guide them through the wilderness? They need a prescription for worship. They need to know how to follow their God in spirit and truth. The principle continues with “By His Word.” This is the path to God. His Word is the guide, a light to our path and a lamp to our feet. We must take care not to misuse this word, especially to add or take away from what God has commanded in His worship. Proverbs 30:6 says, “Do not add to His words, Lest He rebuke you, and you be found a liar.” Nothing less will sanctify His name or regard Him as holy other than His will in worship. He says in Deut. 12:32, “Whatever I command you, be careful to observe it; you shall not add to it nor take away from it.” But we do not look to these statements as if they are hindering us from enjoying worship. Rather, it is a joy for the lovers of God to obey His word, especially in worship. Listen to the Psalmist – Psalm 119:10, “With my whole heart I have sought You; Oh, let me not wander from Your commandments!” Psalm 138:2, “I will worship toward Your holy temple, And praise Your name For Your lovingkindness and Your truth; For You have magnified Your word above all Your name.” Such is the heart overflowing with a joy to worship God. And did you notice that the heart of this worship is set in the truth of the Word? How may one rightly worship God? It must be according to His word and His will. Next we find the phrase, “determines the terms on which sinners.” We will stop at that point in the sentence and consider who it is that approaches God. Whether saint or sinner, both remain under the fall of Adam. They are depraved and wicked, though redeemed sinners have the operations of the Spirit within them (praise God they do!). But, sinners do not have free warrant to come before God as they please even if they are redeemed sinners – they are sinners, they are fallen, there is enmity between them and God. How do they come then? Well, God chooses them to come and draws them near. Only chosen sinners can come to worship rightly because God must make them right (righteous) to do so. Psalm 65:4, “Blessed is the man You choose, And cause to approach You, That he may dwell in Your courts. We shall be satisfied with the goodness of Your house, Of Your holy temple.” But what exactly does God do to the sinner to make them approach Him correctly for worship? The terms for this ability to draw near to God lay chiefly in the death and resurrection of Jesus Christ. It is nicely summed up in Hebrews 10:19-22, “Therefore, brethren, having boldness to enter the Holiest by the blood of Jesus, by a new and living way which He consecrated for us, through the veil, that is, His flesh, and having a High Priest over the house of God, let us draw near with a true heart in full assurance of faith, having our hearts sprinkled from an evil conscience and our bodies washed with pure water.” Men approach God in no other way or manner, no other terms, than through the blood of Christ. Jesus Christ and He alone is the Mediator of the covenant, and the Ladder to reach God. This is where the sin of Nadab and Abihu becomes more heinous. In the Old Testament the sacrifices were to point to Jesus Christ. The lamb, the goat, the incense, the fire, all pointed to Christ. That is why the prescription for the sacrificial system was so intricately laid down by God. They had to be right pointers to God’s only Son. They were types and shadows of Christ. Here, Nadab and Abihu offered something that did not point to the coming of the Messiah, and his work. They offered a fire that did not give Christ glory and point to the only means and manner that a sinner may approach God. Do you see why their sin was so heinous? They were pointing to themselves. Their actions said that their fire was acceptable, when only through Jesus Christ is any sacrifice acceptable, incense or not. It is only through the saving work of Christ that men are saved. Why? This is so because men are saved and sanctified to enter into the presence of God without spot or blemish. They are being prepared for heaven. They must be thoroughly clothed in the righteousness of Christ for the Day of Judgment, lest they be found wanting as Nadab and Abihu were. Take for instance the illustration of the grandfather who hangs the messy, scribbled work of his 5-year-old grandson on his refrigerator for all to see. The drawing is a mess. Why would anyone hang it up? Liken the child to the Christian and the grandfather to God. Why would God accept our work? Well, it is because the crayons, which make the lines on the messy, scribbled artwork, are the death and resurrection of Christ. The crayons are Jesus Christ and His work. Whether the Father sees a glimmer, a line, a scribble, or whatever of those crayons, he is always pleased with them because they are His Son. Later, maybe, the child grows up to be a famous painter. But whatever he paints, whether a scribbled mess, or a work of art, the crayons, or the oil for the canvas, are representative of the life, death and resurrecti0on of Christ. You see, the sinner is accepted on the work of Christ, not on anything he does – especially in worship. The next phrase is “may approach Him.” How are sinners to approach God? They must approach Him in holiness. It is interesting to note that Nadab and Abihu neglected to remind themselves that their entire office was executed on the ground of holiness. Exodus 28:36-37, “You shall also make a plate of pure gold and engrave on it, like the engraving of a signet: HOLINESS TO THE LORD. And you shall put it on a blue cord, that it may be on the turban; it shall be on the front of the turban.” Nadab and Abihu disregarded the very insignia of the consecrated priest – that is what makes their sin all the more heinous. Rather, they should have locked arms with the Psalmist who said in Psalm 29:2, “Give unto the LORD the glory due to His name; Worship the LORD in the beauty of holiness.” Even Christians in the 21st century have the command to bring forth the fruit of holiness in Romans 6:22, “But now having been set free from sin, and having become slaves of God, you have your fruit to holiness, and the end, everlasting life.” So it is important to remember that God alone by His Word determines the terms on which sinners may approach Him in worship. It is also important to make note of what we as Christians are not to do. We do not worship God according to Christendom’s own fancies or desires. That is called “will worship.” “Will worship” is seen in Colossians 2:23, “Which things have indeed a shew of wisdom in will worship.” These things of man’s design may have a show of wisdom, they make look wise and appealing to the masses, but they are really a transgression of the commandments of God. The word for “will worship” is ethelothreskeia (eth-el-oth-race-ki’-ah) and its Greek definition is lengthy: “worship which one prescribes and devises for himself, contrary to the contents and nature of faith which ought to be directed to Christ.” Is this plain enough? It says that if sinful men were to add any unappointed elements into worship, they would, by this action, be calling into question the wisdom of Jesus Christ and the complete sufficiency of the Scriptures alone. Do they know better than God? God rebukes men for such as in Isa. 29:13, “Therefore the LORD said: “Inasmuch as these people draw near with their mouths And honor Me with their lips, But have removed their hearts far from Me, And their fear toward Me is taught by the commandment of men.” Later Jesus will quote this under the hypocritical actions of the Pharisees. Such is the same case when we deal with Uzzah and the ark. Do you recall that the ark was the symbol of worship in the Old Testament? It was the object of worship where God dwelt. He dwelt above the mercy seat. God had separated the Levites to bear the ark. They alone were to touch it, Deut. 10:8, “At that time the LORD separated the tribe of Levi to bear the ark of the covenant of the LORD, to stand before the LORD to minister to Him and to bless in His name, to this day.” But Uzzah forgot this. In 2 Samuel 6:6-7 his forgetfulness demonstrated his demise, “And when they came to Nachon’s threshing floor, Uzzah put out his hand to the ark of God and took hold of it, for the oxen stumbled. Then the anger of the LORD was aroused against Uzzah, and God struck him there for his error; and he died there by the ark of God.” God would have rather seen the ark fall into the mud. The mud was cleaner than Uzzah. But Uzzah touched the ark, the object of worship, in a manner in which was forbidden, and God struck him dead. The Puritan, Jeremiah Burroughs, says, “In matters of worship God stands upon little things.” The smallest of commands make up the foundation of God’s worship. It is true that we are to pick at the mind of God even out of places where He does not tell us everything. Here we see there is a great responsibility to know the Word. Now it is true, no one perfectly does this, but there is the command to Christians to strive for perfection in any case. We are to hide in our heart His Word that we might not sin against Him, especially in His worship. Burroughs continues and says, “Though He does not express His will fully, and in expressed terms, yet if there is anything in His Word where we may come to gather the mind of God, God expects that we should gather His mind out of His Word. If we do not, it’s at our own peril.” It’s like the doctrine of the Lord’s Day, a difficult, painstaking doctrine to wade through and piece together, but God’s mind is fully delivered to us in it when the study is finished. It is not revealed to us in one simple sentence. However, He expects us to know it. God is very precise about His worship! Nadab and Abihu are simply one example of this as object lessons! I am not speaking about worship in its non-essentials, but rather the essentials of Worship. The Bible does make certain demands on the Christian mind as to the worship of God, and at other times leaves certain informalities to the prudence of the people of God. For instance, the color of the hymnal does not matter, but the songs we sing certainly do matter. The introduction of extra Biblical practices into worship inevitably tends to nullify and undermine God’s appointed worship. We must be exceedingly careful not to do this, even when God has not directly forbidden it in His Word. My third and final major point surrounds the appropriate means of drawing near to God. What then are the appropriate means of drawing near to God? Before I tackle that, I have one note to make. First, there is the ever increasing and blatant strange fire of 21st century Christendom that is wreaking havoc on the souls of people all across the world. The church is filled with strange fire! One preacher said (and I do use the term “preacher” quite loosely) that we should not be sitting on 16th century pews singing 16th century hymns. See his mind is on what the taste or cultural need is of the moment. Cultural worship, or denominational worship simply screams the depravity of man’s souls. Some may disagree and believe that various forms of worship are helpful. Really? Tell that to Nadab and Abihu. Tell it to God. God is to be the great attraction in worship, not the puppet show or mime act or drama. His requirements are set in stone, literally, and we as the people of God are to follow Him at every juncture and every detail. We are not to be more inventive, innovative, clever, or attractive to attract the masses. We must also remember that there is no hint in the text that Nadab and Abihu were malicious in their worship, or willfully sinning. They thought they were just exercising prudent judgment, giving God more than He asked for, which may have shown their zeal or adoration to a greater degree. But God still killed them. Secondly, We should understand that in Worship, there is a right “drawing near to Christ” where we sanctify His name and regard Him as holy. God will not accept lame sacrifices. They are strange fire. Deut. 15:21, “And if there be any blemish therein, as if it be lame, or blind, or have any ill blemish, thou shalt not sacrifice it unto the LORD thy God.” If God is that strict in the Old Testament, how much more is it applicable to the New Testament and the worship given to the Lord Jesus Christ? Are we exempt from offering strange fire in our worship? No, not at all. It is relatively easy to offer up the lame sacrifices of an indifferent heart, or indifferent mind? In our singing, though the sounds pass through our vocal cords, out of our mouths and in to the air, are we really engaged and joyful in song? Most of the time I would imagine we are ready for the next song without even knowing what we sang in the former. And what about the unfocused mind or tired body in prayer? Or the wandering thoughts which plague us while hearing the Word? Oh no, friend, we are very susceptible to offering up strange fire, and it is a wonder why God has not dealt with us in the same way. But there is a reason why we have not been carried out of the worship service in our cloaks – it is my third point. Thirdly, How might we sanctify His name in right worship and so draw near to Him? I have a number of reasons: First, We must offer all our sacrifices in the name of Jesus. Yes, this is the principle reason why our sacrifices, though they are not hearty, full of vigor and full of Christian zeal, are accepted by God. 1 Peter 2:5, “you also, as living stones, are being built up a spiritual house, a holy priesthood, to offer up spiritual sacrifices acceptable to God through Jesus Christ.” We offer up sacrifices trough Jesus Christ. It is the only way God will accept them. Phil 3:3 says that we are those, “who worship God in the Spirit, rejoice in Christ Jesus, and have no confidence in the flesh.” We have no confidence that our flesh will benefit us before God. We are wholly given over to Christ, and it is through Him alone that our sacrifices are received; anything less than this is strange fire unto God. Second, We need to remember who we are and who He is. He is the Creator and we the creature. We owe worship to him in the beauty of holiness and nothing less will suffice. Cain’s sacrifice was not accepted, as you recall, in Genesis 4:4-5, “Abel also brought of the firstborn of his flock and of their fat. And the LORD respected Abel and his offering, but He did not respect Cain and his offering. And Cain was very angry, and his countenance fell.” He offered something which was not prescribed (a grain offering) and did not offer what was expected (a blood sacrifice for sin.) Third, we must never neglect to know His Word thoroughly. Matthew 15:9 depicts Jesus rebuking the Pharisees because they were, “teaching as doctrine the commandments of men.” They thought worship consisted in what they could dream up, or what they thought was right. We must not be like Nadab and Abihu and the Pharisees that did not consider everything to be considered. Our personal time and corporate time of worship should be evaluated and continually reevaluated in light of the Word. Fourthly, we must come with prepared hearts and minds. We have a week of private worship to ready our hearts and mind for public worship. It is vanity of mind to believe that the neglect of weekly private devotions will open us up and ready us for the Lord’s Day. Drawing near to God during the week prepares us for drawing near to Him as a corporate body. Otherwise, our spiritual muscles, due to our comatose devotions, atrophic. It is not enough for us just to be in church. Jesus said that worshippers “must” worship in spirit and truth (John 4:24). The word “must” means “it is necessary.” We are to worship in the entirety of our redeemed humanity in truth. Thus, Jesus makes a radical break between worship, and hypocrisy. Do you? Finally, I give a warning to the lost who may be reading this article. Proverbs 15:8 says, “The sacrifice of the wicked is an abomination to the LORD…” Your sacrifices are wicked because they are not through the blood of Christ. Nadab and Abihu’s fiasco should prompt you to flee to Christ. You may say, “But God is not still like that, striking people dead with strange fire.” I beg to differ. 1 Cor. 11:30 houses a verse set in the midst of worship. There were some in the Corinthian church who thought they could observe the Lord’s Supper in the way they desired, and they were abusing it. Paul then rebukes their hypocrisy and says, “For this reason many are weak and sick among you, and many sleep.” The idea behind “sleep” is “many have been killed.” He is the same God who strikes “will worshippers” with sickness and death if they continue in their sin. He is not above such. He is the same God of the ages. If God is not sanctified among you as holy, He will sanctify Himself upon you in judgment, and your only hope is the blood of Christ. Flee to Christ and be saved, that your worship may be acceptable to him. God alone by His Word determines the terms the manner in which sinners may approach Him in worship.